I am glad the silence is in fact not deafening and that my January View From the Gap has prompted much dialogue and discussion in this newspaper and elsewhere. The confluence of recent events that prompted my commentary—anti-immigrant fervor, local Klan activity and the juxtaposition of holidays honoring Confederate heroes and civil rights leader Martin Luther King—seemed to me to beg for some contextual bearings that might help lead us toward reconciliation. Communication is the foundation of understanding and growth. Listening to one another is the beginning. It is heartening to see our community begin to engage. I am appreciative of my good friend Stephen Price’s insightful illumination with regard to the racism embedded in American society from our nation’s birth—which has thrived and persisted in every quadrant and corner of our country. The stark contradictions in our founders’ thinking, words and deeds and the compromises they made are nearly irreconcilable when considered two centuries later. I concur fully that the flaws of our fathers merit our robust scrutiny and their prejudices deserve our outright rejection. At the same time, I do believe the ideals encompassed in our founders’ words did, and continue to bear great weight on bending the arc of our history in the direction of justice for all. It remains today for all of us together, in the face of those who seek to divide, to keep those ideals close and remember we still have far to go toward perfecting our Union. His refutation of what would be a “sweeping generalization” is a good primer on the institutionalization of white racism throughout the farthest stretches of the Union—North, South, East and West. The uncomfortable yet undeniable fact is that the notion of white supremacy was necessary scaffolding built to support a historically unique brand of brutal American slavery. Unfortunately, long after the abolition of slavery, those notions continue to plague us and must, in every instance and at every level, be aggressively countered. Mr. Price challenges my assertion that the white supremacist ideology of the military leaders of the Confederacy has spawned generations of extremists and terrorists. Certainly, the century and a half since the Civil War is replete with terroristic violence inflicted against African Americans across the U.S., predominantly in the old Confederate states. The Klan recruitment activity in Loudoun in just the last few weeks serves as a stark reminder of this intolerable fact. Clearly, the Confederacy cannot be blamed for the presence of racism in America. And certainly there are examples of Southerners who opposed slavery, Northerners who supported slavery and espoused racial hatred, Confederates who truly believed they were fighting to uphold the Constitution and democracy and Unionists who saw the abolition of slavery as simply a means to military victory. However, it is just as clear that the Confederacy was committed to the continuation and expansion of slavery, and this was the compelling cause for which they fought the Civil War. A reading of the various declarations of causes of secession by the Confederate states provides the contextual clarity with regard to their motivations. Mr. Price makes a valiant argument to the contrary for Virginia. Nevertheless, his polite concession that “Certainly, the dispute over the place of African Americans in the United States was the prime reason for the secession of the lower South,” understates the reality of the “institution” that regarded human beings as property to be bought, sold and bred to toil. Mr. Price, who I know is an active advocate for justice and tolerance, misconstrued my condemnation of “self-avowed racists” (i.e. KKK and Neo-Nazis) who revere the Confederacy and its ideology of white supremacy as being a denigration of Southerners who honor their Confederate ancestors. The appropriateness of Confederate soldier descendants honoring their kin is unquestioned and, indeed, admiration for the battlefield prowess of Confederate military leaders and the study of their strategies and tactics is perfectly legitimate. It is my view however, that a prerequisite to racial reconciliation is the recognition of the realities of the history and legacy of American slavery. That recognition necessitates the acknowledgment that the Confederacy’s leaders put the blood, treasure and weight of the South to bending the arc of our history away from justice. The vast wealth built by slave labor and the concomitant white privilege and black disadvantage slavery created transcends generations, lives on to this day, and touches us all. Our history is much like an onion, and when we peel through its many layers, its pungency will at times irritate our senses and perhaps cause us to blink back tears. As hard as it may be however, this is a dialogue that needs to continue, in our community and across our nation. Roger Vance is the mayor of Hillsboro. 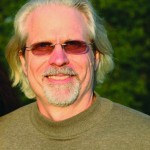 His column, A View From The Gap, is published monthly in Loudoun Now.